I know a lot of people swear by their MAC collection. I have some products I refuse to avert from. However, there are some products that are less expensive but still delivers. MAC Studio Fix+ and E.L.F. 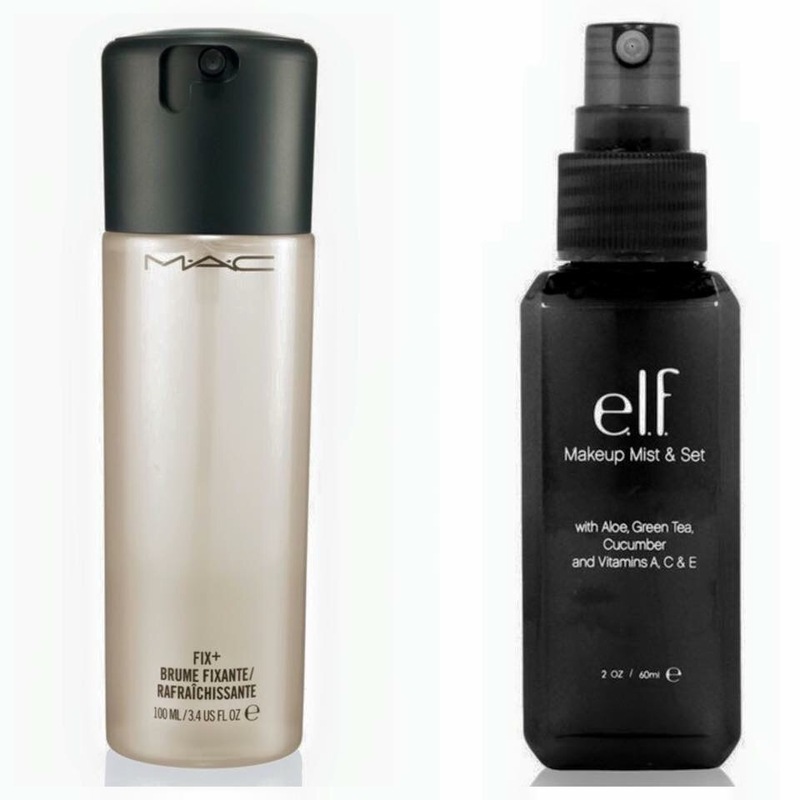 Makeup Mist & Set are both great refreshers for your skin and face throughout the day. Fortified with both cucumber and aloe, you can use either before or after applying your makeup. If you find that your makeup looks a little “powdery” you can use either to help blend your makeup giving it a more natural look. A great way to refresh your makeup from office to happy hour. Both products can be used to make eyeshadows pop. Spritz your shadow brush before applying your eyeshadow and it will make the color more intense. Great for metallics and shimmer eyeshadows. Not recommended for matte shadows. The main difference in the products would be the price point. MAC Studio Fix+ is priced around 21.oo whereas, E.L.F. Makeup Mist & Set is priced at 3.oo. Yup…..3.oo. I have oily/combination skin and I utilize them in my personal and professional kits.